On the Hiyu is a UNIQUE CORPORATE EVENT SPACE and WEDDING VENUE – A Refurbished Ferry Boat floating on waters Lake Union in Seattle. Your guests will enjoy a one of kind experience on this large, refurbished ferry boat turned floating venue space. On The HIYU is the perfect location to host your next event or to create an unforgettable wedding. 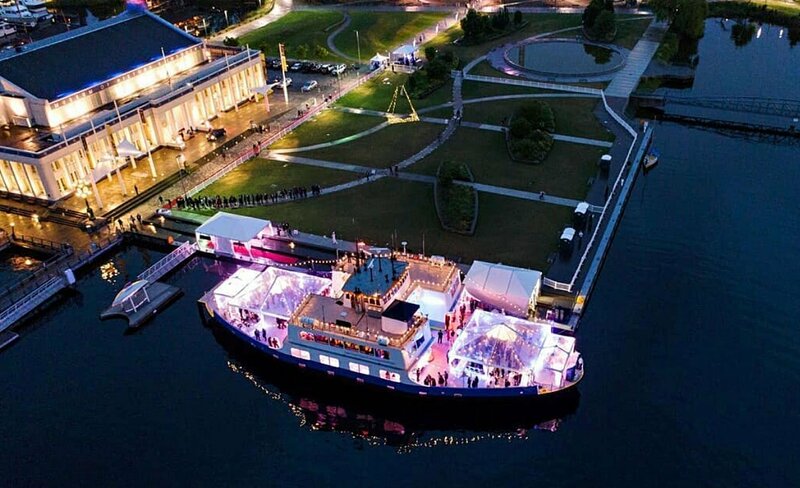 Our floating venue space is suitable for large groups and includes two large open decks plus two unique bar lounges. Bring your imagination and create an extraordinary event on the waters of Seattle! We don't like SPAM, your email is safe with us. You can always unsubscribe.